I’ll start with the Success Part, before I unfold the story. I am a classic poster-girl story of “Why You Should Taper.” I thought I couldn’t come off the drugs, I was convinced I was a “biological bipolar” – but by using SA’s conservative 10% or less tapering system, I hardly had any withdrawals this time, and could control my symptoms and make space for my stressors by holding. I’m a living example of why anyone should taper and hold in order to come off. And there is no such thing as too slow. I attribute my success to the SA taper, and a number of coping strategies. I got support. I had a psychologist, who was wholly supportive. I bullied my psychiatrist to do the taper “my way” instead of her way. She actually had helpful suggestions for lifestyle changes, too. I got an acupuncturist, a massage therapist, and later added an orthomolecular doctor and osteopath. I told my husband and all of my friends. I prepared for my taper. I owe so much to those who walked this path before me: AltoStrata, GiaK, Rhiannon, Petunia, BrassMonkey, MammaP, Bubble, Dalsaan, MeiMeiQuest, CymbaltaWithdrawal5600, and many more. And – to go further afield – Robert Whitaker for his excellent book, “Anatomy of an Epidemic,” and Will Hall for the “Icarus Harm Reduction Guide to Coming off Psychiatric Drugs” for showing me that it could be done, and how. And for helping me to accept that I may be different – but that different is not a medical condition. I got curious and read everything I could on the web, and learned a lot. I learned the most from SA and Beyondmeds.com. Most of what I have written as a moderator is not original – but is something I learned here or in my researches, that I applied to my life, and which I found effective. My psychiatrist resisted my desire to taper, but she told me she would support me if I put some things in place. We established a contract with my hubby, so that if I went off the rails, he would be able to get help for me. She would not taper me unless I made a commitment to take sun walks for light therapy and mood stabilization. I also eat meat and fish for mood stabilization & brain nutrition. I took up a tai chi practice and found a yoga studio which supports me. My karate mates have always supported me, even when I was too sick to participate. Nuts and bolts, I took a year to come off a low dose of reboxetine (it’s the least effective SNRI in the world, actually less effective than placebo), and another 2.5 years to come off the lithium. As I was suffering lithium toxicity (diabetes insipidus), I alternated some of my SNRI tapers with lithium tapers. I tapered 10% per month, or if while dry cutting, I had to drop by 15% (my largest taper), I would hold an extra month. I held an extra month if I had any upsets or stressors – funerals, travel, illness, bad news, etc. I held 3 months after the SNRI was gone before tapering the lithium again. My tapers were relatively symptom free. Most of my symptoms were from worry that I really was crazy – and there were mood spikes until I learned to manage my mood on my own. That’s what I should’ve learned when I got diagnosed 20 years ago. Nobody tells you that you can manage your own mood. In fact, nobody tells you that you are the only person who can manage your own mood! I greatly reduced gluten, especially wheat, and dairy. I cut the coffee way back. I start my day with protein (good for adrenals), and finish my day with carbs. I take magnesium baths whenever I feel "crunchy" and after every exercise session. I have raw food smoothies 2x a week. I take a number of supplements to manage my health without drugs. Most important: magnesium and fish oil. For mood & energy: NAC. I couldn’t take up meditation exactly, because of cult abuse in my past, but I can do tai chi and yoga, and I love breathing and mindfulness meditation. I found a great benefit to shamanic practice, because it is not worship of any foreign deity or guru, and my own inner experience is the guide to what I am learning and how I am growing. I took up creativity practices, like music, coloring, drawing, painting and writing. I took up correspondence with special people here on SA and in other places, so I could learn and grow by sharing with others. I was well supported by all of these people and practices, and I feel I have a web which will catch me if I ever fall down again. Now, I have no diagnosis (I leave it on the medical charts so that I can refuse drugs – “No doctor, you can’t give me that, I’m bipolar!”), my body is broken from surgeries, abuse, accidents and pain. My major lasting drug effect is metabolic and autonomic dysfunction but those are compounded by surgeries, too. I still have severe delayed cycle sleep (but I always did: it is my difference), and unrelenting tinnitus. But my mental and emotional life is healthier than I’ve ever been before. I have compassion for my fellow human in a way I couldn’t before. I have passion for what I am doing, and a sense of purpose. I am driven to create, to share, to learn, to grow. I love meeting with people and listening, and feel so incredibly fortunate. I’m older and wiser than ever before, and I still have a lot of healing to do. But I am awake, alive, and grateful to be so. Wow, JC. This is a beautiful success story. Congratulations! And thank you for sharing so many non-drug coping strategies, many of which I explored and found helpful. Your insight and willingness to share are truly appreciated. Wishing you many years of happiness and peace. brilliant jancarol good on ye .beautiful post . members that are really struggling need to print these stories out and have them on the wall . JC. I considered that you were a success story a long before you posted about it here. It makes sense that coming through such an experience would have a profound effect on how you view yourself and the world around you. I'm sure that this will be true for those that follow in your footsteps and tread this path in the future. So pleased that you have successfully made it to the other side of withdrawal and are now fully healed. Great to hear that you have gotten to where you are and that you feel well enough to write of your success. You have certainly been an inspiration for many of us still on the road. Here's to continued healing for you as you move forward. Dan - Wow, I'm blushing. I always felt like I was just doing my recovery in my own little corner, not many people "watching," just keeping a log. Terry - I have a theory that it doesn't necessarily take longer for CT's but that it is a rougher ride. So - you're still in your first year after CT - hang in there! Get on top of some Non Drug techniques that Shep was talking about, and ride those stinking waves! (I know about the waves from all the previous times I tried to quit). I reckon the brain heals at the pace it's gonna heal - the advantage of the taper is you can be sneaky, and heal when the brain isn't looking (lower symptom profile). The CT just means the brain heals all at once. It will feel like forever - but there is hope! I intend to do a psych history here as I go forward - I have some of it written - but the whole piece might take a few months to get out. Just so's any strangers who come by and see: "Oh look, she got better - but maybe she wasn't that bad to begin with?" The hard part to parse out is how much was my natural crazy - and how much was drug addled. I'll never know for sure, because there are elements of both. There is trauma, and the resulting ill-mannered coping strategies. It's easy to look at me now, and think - well, she's unique but she's well adjusted. Thanks so much for your heartwarming responses. NOTE: I will be using diagnostic and symptom descriptions from current psychiatric practice. I no longer believe in these categories, but they were how I thought about myself at the time. I will be putting these “medical conditions” in QUOTES to indicate that I now believe they were incorrectly addressed, that they were, as our NZ11 says it, “Diagnonsense.” Trauma is real. Suffering is real. Emotional states are real. Delusions, ruminations, paranoia are real. Diagnoses are not. I think that my “mental health condition” goes back to childhood stress. Adopted at age 9 months (foster care for the first 9 months of my life! ), then developed “allergies” when we moved from Ohio to Missouri (the wheat, the wheat!). I didn’t test positive for any foods, but – foods don’t work on skin tests, do they? But instead, they said, oh grass, trees, animals – all these allergies! – and started me on a protocol of allergy shots and antihistamines. The antihistamines of the 70’s had more in common with neuroleptics than the antihistamines of today. So from the age of 7, I was drugged. Interesting that is the “age of reason,” as well. I went to a total of 13 (or was it 14?) schools during K-12. I was always the “new kid” wherever I went. Additionally, during this time, my mother had time to perfect her religious oppression – as if that was a solution to my problems. This oppression only caused my acting out to become larger and more dangerous. Dawkins would call it child abuse. I just call it Mother. I turned to street drugs at the age of 18, as it was obvious that I was incapable of escaping the cage and reins that my parents had fashioned for me. It was a lot of extreme, bizarre and bad behaviour, and it broke my mother’s heart. I would take anything - and - that was some of my early experience with chlorpromazine, which would "mess you up" but - for days. We called it a "bad drug," but would take it if we couldn't get a "good" one. I was fond of speedballing - barbituates and amphetamines. That can't be good for the nervous system, and truly, my cardiac fitness has never been the same since then. But even then - I was running 3 miles a day, weightlifting, tae-kwon-do, tennis, skiing, running fitness trails - I've always been athletic, so my physical decline has been painful to watch. I had a number of relationships – but I was the unstable one. I was promiscuous, the cheater, the liar, and I was selfish. Relationships existed to support my needs – they were not partnerships. I was incapable of seeing anyone else’s needs but my own. And my desires were more important to me than anyone’s needs. There were a few saving graces in those early years – I learned yoga at age 13 (I still practice), and I started martial arts at University (I still practice). I started meditating at age 22. I was curious and pursued transformational and illuminating reading and study. I experienced actual transformations through the use of psychedelics, and the survival of extreme states. My first husband was the most attractive man in our small social circle. He was a bundle of nerves, but a hard worker. He was a social mess – but sweet and gentle. He had trauma, but I could never bring it out. The more I tried to engage with him, the deeper he retreated into himself. Being the selfish person I was, I pursued him and didn’t give him space. I became a nag, and he fled into the closet of his mind. As a result he exploded into several nervous breakdowns, and I became associated with the cause of those breakdowns. During this 10 year relationship (5 married), we both tried any number of drugs – tricyclics, the new Prozac class. I hallucinated on Prozac (maybe those psychedelics weren’t so good for me after all), and couldn’t take it, but I could take tricyclics. I tried each of the new drugs as they came out. I never stayed on any of them for more than 6 months – and always "relapsed" in their wake. This is how I know about withdrawal. In 1995, we parted when he said he didn’t want to “work on us” anymore. We were poor. I had a job, he was on stress leave from his last breakdown. I got a tiny studio apartment with my cats, and left him the house. When all of the stress and pressure and oppression of that relationship lifted from my shoulders, I went bona fide manic. I obsessed on the man who managed my apartment. I stalked and chased, consumed with the need for – well, consumed with need. I was having conversations with wasps, making deals with God. I was also pursuing daily practice – yoga, prayer – and so I believed my madness was blessed by the Divine. It was during this year that I offended and lost most of my friends. It was during this year that I changed my life, started to paint, felt like I was something special. Some would call it “psychosis,” but I call it Spiritual Emergency (one of many). I did not get diagnosed with anything more than “depression and anxiety” because I was cogent. I could still work. I was able to tell you that nobody else was talking to wasps, that maybe it was a metaphor and not literal. I knew that stripping to the waist so I would be “invisible” and spying on someone from the bushes – was not normal. I wrecked my life, and it came crashing down around my ears. I was started on Buproprion or Zoloft (I’ve been on so many) and a short course of Xanax to calm me down until the antidepressant started working. Eventually, over the next 3 years buproprion was the main drug, and I could tolerate it. In this wrecked condition I met the Yogi, a manipulative narcissist who was going to mold me in his Image. He was my God, and I was his Acolyte. He was Krishna and I was Sita, and I was not to be jealous of his Gopis. He stripped away from me a lot of my ego, and used all of my sins against me. He taught me so much about reality – and then made sure he was at the center of my consciousness. It was only 5 years, but like an antidepressant, I still suffer side effects from his passage through my nervous system, body, brain, and being. That was 1995 – 2000. I was drugged during this time – the buproprion. I needed it to be able to work and support myself. If I didn’t take it, I would sleep 18 hours a day. I kept trying and trying to get off the drug, but every attempt met with failure. I didn’t understand tapering, I didn’t understand why the 50% cuts meant I slept 18 hours a day. I lost my corporate work, and by 2000 I was self-employed, and able to (just barely) make a living working part time. The buproprion – supposed to be one of the “easy” ones to get off of – taught me about the deep hooks of antidepressants, and the difficulties getting off them. In 1998 I met my birth family. It went extremely well, and I was honoured to meet them, and love and respect them – and also especially glad that I was raised apart from them. There was a trauma in that family, and the oppression of my Mother’s religion was mild compared to what I might have faced had I been raised with my blood brothers and sister, been abandoned by my birthmother at the age of 10, instead of at birth. My sister was tough, at 12 she got a job and moved out and started an independent life. I would have been 10, and would have been destroyed. Of all the siblings, I was most like my birthmother, and in 1995, she was found wandering the streets of a western town, in poor condition (homeless?). That’s a huge story that I won’t go into. Suffice it to say, meeting this family – my siblings all with a deep understanding of depression, my birth Auntie with OCD, and my birthmother with (if it were diagnosed) “delusional bipolar,” at best. Since 1995, my best friend, now a doctor, had been telling me (after that huge, explosive manic episode) that I was probably Bipolar II. At the time the DSM said “one manic, lots of depression” was “Bipolar II.” Sometime in the late 90’s, that one manic episode called for the diagnonsense of “Bipolar I.” At the time, my friend was in med school, and had probably just been introduced to DSM, so was using it as a tool (she has since dropped that stuff from her repertoire). Under the oppression of the yogi, where I couldn’t breathe right, eat right, exercise right, meditate right, work right, learn right, speak right, do anything right and had to guard all my behaviours lest he abandon me – I started to get sick. Very sick, maybe more sick than I’d ever been before. By 1998, after meeting my family, I was desperate. I could only work about 20 hours a week, hardly enough to support myself. During this time, too, my ex-husband’s parents died in a murder/suicide situation, and the ex inherited some money and moved to the west coast. I took possession of the house – it was cheaper than the rent I was paying – but the ex trashed the house before he left, throwing furniture through the walls, carving obscenities into the woodwork, and it was filled with the grime of 5 years of cigarette smoke. I had to tear up all the carpet, paint, re-floor and move in. I collapsed in a heap. So – I was finally in my own home. I really wanted to make it work, but I was too sick to even arrange furniture, organize the kitchen, or unpack boxes. I crawled out of my disastrous, messy house to go to work and fulfill contracts. St. Vincent de Paul helped me with mortgage payments and told me to sell the house and rent – but – the mortgage was cheaper than any rent. I took on housemates to help pay for it (it was a 3 bedroom, and part of their rent was “help around the house” which I sorely needed). I had a friend, who, every day at 9 am, would walk with me and her dog. Sometimes we’d talk. She was the kind of friend who was happy to walk in silence. She kept trying to get to the source of my extreme, deep despair, but I couldn’t touch it. If I talked about it – I would cry. If I cried, I would get a headache. If I got a headache, I would be unable to work. If I were unable to work – I would not be able to pay the bills, and the cycle would start again. Finally, after months of this, even she, a Zen Master, recommended me to professional help. She, my doctor friend, and the meeting of my family put me in a place where I finally had to accept that I was “Bipolar” and follow the protocols. Brutal beautiful honesty JC total respect to you .to be free of meds I believe introspection and honesty must be achieved about our past with a huge dollop of compassion , [I'm struggling at the moment not sure if I have neuro guilt or real guilt for the life I could of lived]. you must feel greatly cathartic to write your story .I'm honoured to read and absorb it . When we look back at all the things we went through it is a challenge? It's good to see you post a Success Story thread. I look forward to your ongoing story on this site. Hi Jan Carol. I just want to say congratulations to you!!!!! What a beautiful and inspiring story, your story!!!! Every success story here is sooooo deserved in my opinion. I extend all good to you. I also want you to know a couple of things. 1) yes, you are followed here on this site and various things you have said have really been helpful to me on my journey. One thing is this,( though I am showing as gigi63, I am TripleM15. The screen name change is another issue due to me having a terrible trouble accessing the site one day. I am hoping they can be merged into one), when I first crashed after a 10 month, too fast taper, you were one of the mods to respond to me. You told me bupropion was one med you tried to get off of several years ago, well, your right, it's a real " bug bear" to get off of. 2) after I crashed, while not even off of the drug yet, I did the slight RI from 12 mg to 18.75 mg. Next week, it will be 16 months holding at this dose, which leads me to my second point, your advice on "HOLDING is a BLESSING". Jan Carol, I am still not ready or able to resume my taper, but thanks to you and Rhiannon, And Brassmonkey, and Ali, Squirrely Girl, champions of HOLDING, and LISTENING to your body, I am slowly healing and working towards stability. Thank you for this very good and important advice. After going through my own incredibly difficult period of instability and still waiting for more healing, I agree wholeheartedly that one can never go too slow on getting off. " Hold, hold, and then hold some more". Some of the wisest words I've ever heard. So I want to thank you for these words and for your help and yes, so many of us are listening and waiting. ", but I am just starting to see some of the benefits and a true believer. Thank you!!!! THE VERY BEST TO YOU. Jamie. Hey Terry - thanks for reading! I still take fish oil, magnesium, and I take 1.2 g NAC daily. I listed that one, as it helps cell renewal as a precursor of glutathione for the body. The lithium orotate I will continue to take until I run out - I don't "feel" it, but believe it is part of the picture. I take a TON (literally) of supplements, too many to list here, and many of which are not recommended in withdrawal. Because I have no thyroid or ovaries, my adrenals are overworked and prone to fatigue. For every drug I've quit, I've had to add supplements to take care of the problems. I take 4 supplements for cholesterol, for example (plant sterols, bergamot, and red yeast rice, plus niacin which also helps with mood stabilisation), 3 supplements for blood sugar (Alpha Lipoic Acid, which I must quit because it interferes with thyroid uptake, Chromium, and Cinnamon). I take 3 different glandulars (liver, adrenal, pregnanolone) for my adrenals, and several supplements as co-factors for my tricky thyroid replacement regimen. It's complicated! I don't list all my supplements because I don't recommend more than the mag, fish oil, and NAC (if you can tolerate it). The lithium orotate is tricky - I take a microdose, but remember I was damaged by lithium, so I have to be extremely careful. I don't recommend it because at the "normal" dose of 5 mg per day, I believe one should take kidney and liver function blood tests every 3-6 months. It is a hassle to compound my own capsules into 1.67 mg doses. I cannot feel the lithium orotate, but reckon it helps me keep an even keel and improves my buoyancy through stressful situations. LDN is new, I just started it a few months ago, and am still titrating to find my correct dose. I recommend it for chronic pain and inflammation. It has reduced my use of narcotic pain drugs. When I was in severe pain, I would use the pain drugs every 12 hours. Currently, I am about 60 hours between pain doses. That is the benefit of the LDN. Additionally - it cleared up my irritable bowel, which I've struggled with for at least 5 years. It's been better off the drugs, but still sensitive. I didn't expect that - a beneficial side effect of the LDN. Supposedly it will help me with some of my cardiac irritability, as well. Apparently, it is the only pharmaceutical that Dr. Mercola recommends. Gigi - good on you for joining the "hold and hold some more club!" I'm a big big fan of the "easy just go easy, you'll get there" club, too! One would think it would be "easy" to do this, but it's actually one of the hardest aspects. One of the reasons we went on the drugs was because we wanted to be "fixed NOW!" and to be told that the solution to withdrawal is the long, slow taper seems counterintuitive - especially as we learn how toxic these drugs can be! Best of luck to you with the buproprion - supposed to be the "easiest to get off of," which only goes to show you - that ALL of these drugs have their hardships. It was a bear to me, for sure. I don't know how many times in the 1990's that i bounced from 75 to 150 to 225 and back again....thinking - if I could just cut it in half . . . but I always landed in extreme fatigue and hypersomnia when I did that. Thanks Powerback! I just heard a quote from Carolyn Myss last night, she said that she is the only one she knows who writes in her books: "If you are dishonest, you will not heal!" It is impossible to be perfectly honest - we lie to ourselves all the time! But all we can ever do is our best. Tell that to your neuro-guilt! I was just talking to friends at lunch - that - if I had gone to an orthomolecular doctor who caught my methylation issues and wheat sensitivities when I was 7 - it could've saved me a lot of grief, pain and suffering. BUT (get ready for this!) one of my dear friends said, "But Jan - you would be so BORING if that had happened!" You are interesting the way you are. Crow it from the rooftops! Mad pride! I am different, not "sick," I am unusual, not "bipolar." It's okay to be different, unusual, eccentric, a little too enthusiastic, a little too loud. It's the crazy ones who are the most interesting! Dear Aria you were part of my inspiration and continue to be. Thank you for your light. So gently you have processed your anger at what was done to you. I still scream and rage at the machine that did this to me, that still does this to my loved ones, and people here - strangers - but people I care about at SA. A challenge? I don't really see it that way. I was so angry that I almost had no choice. I was going to prove them wrong, show them, and hopefully be a shining example to my friends and family that - if I, the craziest and sickest of my family, could get better - any of them could, too. Unfortunately, that anger has yet to bear fruit anywhere but in myself - but - I am so grateful for the second chance, the gift of life, the sense of purpose and well-being - that even though I am still quite angry - I'll be euthymic and well just to spite them all! I have to back up and talk a bit about the documented "manic episode" in 1995. There was another one, not documented, when I was 18. Both were extreme, but the one at 18 was worse as far a "socially unacceptable behaviour" is concerned. But both had one thing in common: the release from an oppressive situation. When I was 18, I was independent for the first time in my life. I had been under the boot heel of the religion of my Mother. My brother was a boy, so he could not sin, and was given free rein. I was a rebellious female, so the screws were tightened to keep me from sinning. As a result I wanted to sin more, to find out what was so forbidden about these antisocial behaviours - so - when I went to University, all the rules were lifted off. I did as I pleased, and have paid a lifelong cost for it. In shamanic terms, this was learning "the hard way," why we have social agreements and rules around our behaviour. Why we stop at stop signs, and obey speed limits. There are consequences if you do not, and the consequences affect more than just yourself. In 1995, I was released from a decade of a depressed marriage. The whole house was depressed. The doctors tell you that "depression isn't contagious" but it is. I thought it was just my native state - he thought it was just his native state. Together we were worse than we were apart - we made each other suffer greatly. When I was released from that marriage, I was convinced that I would go on to do Great Things, once I was no longer held back by his deep, unrelenting depression. This became what is diagnosed as "Delusions of Grandeur." Each time, it was like taking a spring and compressing and compressing it - and at the moment of release - of course the spring explodes into "mania." I look at these as situational, and as the situation got wilder and wilder - then the poor coping behaviours come into play, and my emotions were - uncontrolled. I almost said, "uncontrollable," but I know better now. There was a huge part of me that fed on drama, and wanted to stoke the drama - because it was "interesting," and I felt powerful when I made things more dramatic. So - again, the evidence of my "bipolar," has situational and traumatic elements to it. Now that is the greatest thing i have red for like the last 2-3 months... :-) You just made my day and i hope my week as well as today is Monday... I was reading your story like half an hour ago to one of my friends here at work that i trust. You have been a great help for me as well and i am grateful for that and happy that you finally made it. You have a way with the words saying that you still have those normal people but you refuse to believe you are biologically bipolar. Stick to that belief my friend. Live your life and be there for all the ones that need you. Congratulations, on being undiagnosed! Of all things, I have written on my drivers licence ""to take medications as prescribed"......... doesnt say by whom, or what, or anything. So I cant wait for the next review, so my doctor can write that I DONT TAKE any medications. As for being undiagnosed on medical records, how does one do this? I just read through your story JanCarol, and wow, how I can relate to it all. You write beautifully, and with such a nice balance, so so wonderful, thanks for sharing this. First time was from the dothiepin, high dose, (now they would call it serotonin syndrome).......... at the time the psych said the pills just uncovered some underlying mania? um? He released the spring too fast. Second time? I dont even think it was mania, I know now, that one was caused by giving me nitrous oxide during my third baby. Now it is recognised it causes mental problems, it immediately destroyed what little B12 I had. Now taking B12 shots (despite what 80% of the doctors recommend).......... I do them myself, and YAY! finally got a referral coming to a haematologist, to probably find out the problems I have had all my life (MTHFR etc). Hey Ang, thanks! I'd love to know what the N2O does besides deplete B12. Congratulations on your future garden! Photos, please!!!! I've thought about getting a medic bracelet or tag or something which says, "NO BRAIN DRUGS" and because they're digital, I can list the anti-emetics, the antihistamines, etc, which are actually psych drugs used for other purposes....Right now, I have hubby to help - but he doesn't know the drugs like I do. Looks like I have to stay conscious for the rest of my life, to prevent things being put in me that I don't want! The metoprolol (for example) is disastrous. It was prescribed 1/2 tablet 2x a day (25 mg x 2). I thought I would just try 1/2 tablet to see if it helps my episodes. These are most uncomfortable! 1/2 tablet did nothing, so I reckoned my daily prescribed dose was 1 tablet. That helped some. Keep in mind, that breathing, meditating, relaxation response has NO EFFECT on these episodes. The metoprolol is designed to lower heart rate and blood pressure - which - mine are FINE. These episodes last up to 3 hours, and I'm bruised and exhausted afterwards. It becomes difficult to "take a deep breath" sometimes. So a small effect seemed significant. Except - hello homeostasis! The next day, my heart thing kicked in again, fiercer. I didn't think about it - took another tablet, and it calmed somewhat. But the NEXT day, the attack was fiercer still - noticeably fiercer than the first episode - and I realized - it's that rebound effect. How easy it would be to just keep taking the tablets, instead of addressing the causes of this! How easy it would be to just put the episodes down to episodes, not drug reactions. Now, I have had several episodes since the last time I took the drug, and it's like my body has to shake out the effect it had on me. Hopefully I haven't hurt myself. I don't want to take this drug. I will be ripping the cardiologist a new one over it, and schooling him on brain blood barrier and drugs that affect mood. So - what does help? Now I am having daily episodes again, and they are intense and make everything harder. I am investigating amino L-Arganine (hubby is on it for Blood Pressure), and herbs Hawthorn (whole plant) and Motherwort (tincture for episodes - nasty taste, and dry herb for maintenance). I'll get back to you on that - as with everything, it will take me a few months to put those protocols into place. Right now, I'm still taking a combination of Magnesium, Taurine, Kava & Phenibut. It helps almost as much as a 50 mg tablet of metoprolol. And I use heat-wheat packs. On my chest, throat, neck, and ribs (depending on if I'm sitting up or lying in bed). These make it possible to sleep. If I could, I'd like to walk around in a big soothing magnesium bubble. Since I can't - I need other coping mechanisms. Currently my go-to is the amino, mag & kava blend (sometimes it's valerian, I switch the herbs around), wheat pack, and warm bone broth. I'll let you know when the motherwort and hawthorn get added in, if they are really helpful. Thanks Santino for your kind words! May your journey be smooth! Thank you for sharing your journey. I think you are a very good writer and I could really feel what you have gone through. I so appreciate the detail you have shared along with your insights. Yes... many problems trace back to childhood. I would also say that it is often misinterpreted what actually caused the consequence. I have learned this week that there is one common cause for many of my problems (gambling, avoiding doing important things & anxiety that followed because of those things), and surprisingly the cause is actually a personality trait of mine (which my mother also has and suffers from it, I realized today) which needs special handling. I also can't meditate as I too have rough experiences with a cult, so I can definitely identify with that. I'm happy to report though that I haven't needed any meditation to have inner insight, so it's not required. Some time in a peaceful environment with an objective & calm mind was enough for me. Thanks Bokart, Hibari and Boysmommy! In my spiritual growth and development I'm learning that meditation is essential if I want to grow. I just cannot do it like I used to. The mantra meditation I was taught in TM is now fraught with stress and no longer the "bliss boat" that it used to be. The harshness of zen meditation is too austere for my old body to withstand. But some form of meditation - of connection between my Inner and Outer Worlds - is essential. As a result I've gone to Shamanic Drumming, tai chi, yoga, and lately I've taken up a Native American Prayer Ceremony to nourish these needs. If I want to stand still and not develop, I can stop meditating. But if I want to be better than I am now, meditation is a key practice. Like you Bokart, I can't do what I used to do - so I have found new ways to invoke deeper states of awareness, relaxation response, and a sense of connectedness between my Inner and Outer life. Hey Bokart - all good. Attention is the biggest part of progress! I'm excited today because right now my artwork is on the homepage at Mad In America! I just saw your artwork very awesome! One more little success. People who saw me just a year ago comment on how well I look. They ask me how much weight I've lost (only 10 pounds) and say they can't believe the difference between last year and this year! Havent been in the success area for a long time but just saw this. Wow JC you are now the poster girl for success that's for sure ..what an inspiration and my goodness what a journey, thankyou for sharing so much. And the improvements keep coming ...I guess that's the ultimate validation of a success story when others comment on noticed improvements. You write so well. Have you considered writing a book. May you continue going from strength to strength. Just to say this: I was wrong about "neutral state". It was bad. I was wrong, so please don't try to reach for what I described. Stay well everyone and I'm sorry to interrupt this thread. Thanks NZ - that means more to me than you know. Thanks, also, Lizzy. Maybe it will help you to come to a place of peace with "neutral," which removes the emotional charge from actions and choices so that I become more active, and less reactive - and become more alive in the moment from that place of Neutrality. I'd be curious to see why you felt that your practice of "neutral" wasn't working. Very pleased to read your success story . 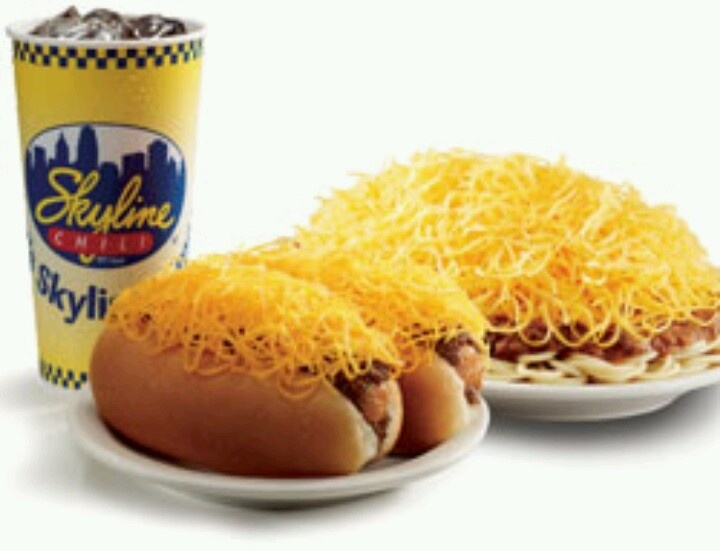 But I'll be near Cincinnati soon, and may have to try a plate, just for "old time's sake." I wish I could say it's one thing, but it's a hundred things. GiaK http://www.beyondmeds.com says, "Everything matters." Practice is my big word. It doesn't matter what your practice is - maybe it's balancing a matchstick on the end of your nose until you get really good at it. But more likely, you will be helped by all the boring stuff - like meditation, gentle exercise like tai chi or yoga, even weightlifting. Diet is important - finding what foods keep you well and stable, what foods knock you into the deep end. Art and music can be nourishment, too. Do something every day. The same thing, preferably at the same time every day. My prescription Practice started with a 10 minute sun walk. Every day. Sunlight, seeing green trees and grass and birds. Walking up a hill, then down it again. Just 10 minutes (so I had no excuse not to do it) This past year, I've added a little 5 minute tai chi routine - with my bare feet on the grass, and facing the sun. So 15 minutes of sunlight, moving my joints. It helps remind me that the world is not as bleak as I might perceive it. I live in a dark house (that's considered beneficial in our hot summers), but if I stay inside - I won't know that it's a beautiful day with light sea breezes. I have to step outside to do that. Whatever practice you are attracted to - do it every day. Make it easy, pleasurable, or even fun. Some days you will feel awful. Some days you will feel better. In the times you are strong, plan for the times you are weak. A Practice helps to build up a "bank account" that you can draw upon in the rough times. If you are thrashing about in miserable suffering, your Practice may not feel like it's working. It doesn't matter. Just keep Practicing. You will build up even if you don't notice it. Even if your healing is slow - it is healing. Look to the horizon, the big picture. Also - look at the tiny things, for pleasure. I learned that there is a phrase for this, "hedonic rehabilitation." Using pleasure to guide you. Chances are, that if it feels really good to eat an avocado - then avocados are good for you. But if you binge on sugar and are sick for days - then that's not pleasure - that's pain. The sugar is hurting you. Listen to your body. I know that's a lot of stuff - but to me, it took many little things, all combined together like a weaving to make a basket for me to heal. Also - look to the little things - gratitude. Maybe today it is gratitude that you have enough to eat. Maybe you only see one beautiful picture on the internet - be grateful for each little thing which makes you feel better. Acknowledging each tiny one will help you string them together like a pearl necklace, and also builds you up in preparation for the next good thing. Many people have tapered successfully here without any support - but I've found it helpful to have a spouse who listens (even when he doesn't quite understand, he listens) - I also have an acupuncturist and massage therapist who supported my taper. I bullied my psychiatrist into tapering, she at least read Robert Whitaker's excellent "Anatomy of an Epidemic," and then said "pooh-pooh, he's just a journalist full of meta-studies." But I told her I was going to do it - and - I'd rather work with her (since she'd known me for 10 years) than start over with a new doctor. I gave her an ultimatum: if you're not with me, I'll go somewhere else. She signed on. My psychologist didn't believe me at first, either. She also read Robert Whitaker's book, and as she started to see her own clients flipping into manic episodes and anxiety from the antidepressants, she gradually came over to my side. As she saw me getting clearer and better, she started writing glowing letters to my psychiatrist. THEN, the psychiatrist couldn't ignore that I was getting better off the drugs than I was on the drugs. The psychiatrist still believes in drugs and drugging - I have been dismissed from her care for over a year now. Last I heard, she was learning about "psychiatric acupuncture," so maybe she is seeking to use more non-drug therapies. But when the psychologist started talking about how well I was doing - the psychiatrist pretty much had to go along. One professional to another, and all that. But - my practitioners were exceptional. Even the psychiatrist had studied with Stanislov Grof, who practices a more trauma based, non-drug method of dealing with extreme states. MOST practitioners only see things as "symptoms, diagnoses, and prescriptions." If you can get ONE person to read either Robert Whitaker's "Anatomy of an Epidemic," or - "The Pill that Steals Lives," by Katinka Blackford Newman (I found both of these in my local library), then you might have an ally. Someone to help you fight. Getting angry helps - but remember - when you talk to doctors and friends - it's important to display that you are in control. Even when you are suffering. It's hard, but an essential part of not getting drugged more. You are in a really ideal position to control the whole process from the very beginning. The bigger doses are easier to adjust, as they get down to the smaller doses, it gets harder. So use your first tapers to "get used to the idea" of liquids, or scales, and the 10% rule. There will be mistakes - we all made them! As you get down to the more critical doses, you will be good at the tapers. I'm one of the rare ones who came here at the beginning of my tapers - like you. (yes, I'd tried in the past, but using disastrous techniques, and they failed). I had a relatively uneventful taper. A few bounces along the way - but I could control it. Stressful trip? Hold. Meeting someone new? Hold. Open time where I've got time to rest and adjust? Great time to drop by 10%! So this post is all over the place - but you only asked the biggest question that you could! I hope that you find something in here that is useful to you! There is a little note at the end of this note which said: MORE on TOOLKIT and CURIOSITY. Shep taught me about curiosity for addressing emotional and mental symptoms. Instead of freaking out thinking that I'm going mad - be curious - what am I feeling/experiencing? What can I learn from it? This simple shift from fear to curious is a super key to unlocking recovery. And my toolkit? Well that's HUGE as I sometimes have the attention span of a flea, so I have many things to choose from. Right now, I'm dipping into my toolkit and choosing a nap. Way to Go Jan Carol....I'm glad to hear that you are a SUCCESS story! Thank you for sharing the details. It is very insightful and helpful.